Marketplace Events, producers of such consumer shows as the Minneapolis Home + Garden Show, Minneapolis Home + Remodeling Show and the Minneapolis Holiday Boutique, are crossing the river with a new and improved exposition: The St. Paul Home + Landscape Show. The show, formerly known as the St. Paul Landscape & Patio Show, will be held Friday, Feb. 15 through Sunday, Feb. 17 at Saint Paul RiverCentre. Show hours are 10 a.m. - 8 p.m. on Friday and Saturday; 10 a.m. - 6 p.m. on Sunday. 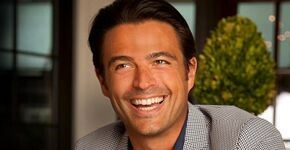 Celebrity appearance by interior designer and television host John Gidding - Currently featured on TLC's "Trading Spaces," Istanbul-born Gidding's career has included stints on TV shows on HGTV, ABC, FOX and Logo. He majored in Architecture at Yale and received his master's degree in Architecture from Harvard's Graduate School of Design. Gidding will appear on the Main Stage sponsored by OlliePop Design + Remodel on Friday and Saturday. Using "Backyard Getaways" as their theme and inspiration, four landscapers from around the state will showcase their expertise. Sponsored by OlliePop Design + Remodel, the Main Stage will offer presentations revolving around remodeling, interior design, and landscaping. Attendees will get budget saving tips, DIY ideas and education from local speakers and national celebrities. Located in Upper Wilkins Hall. Upsy Daisy will upcycle rescued night stands from the Twin Cities Habitat for Humanity ReStore to create one-of-a-kind pieces using "One Nightstand Edition" as their theme. Each piece will be auctioned off with proceeds going back to the Habitat for Humanity ReStore. The Garden Market will provide the latest in flowers, plants and garden décor to take yards from dull and drab to bright and beautiful. Led by the Minnesota Horticultural Society, show goers can get their hands dirty and take home a creation they made themselves. The Kidzone is fun section of the Show geared towards keeping kids happy and busy. The Saints' lovable mascot, Mudonna, will be joining the Kidzone fun from 10 - 11 a.m. on Friday, Feb. 15. On Sunday, show entrance for kids 12-under is free! Want to know the tricks of the trade? Now is your chance to ask the experts! From plumbing and roofing to tiling and landscaping, get your project started or back on track with a little help from our trade experts. They'll provide you with the advice, resources and help that you need. Hero Day: All active military personnel, veterans, police officers, firefighters, EMTs, medical professionals and teachers get free admission with a valid ID. Public Servant Day: Free admission for current government workers with a valid employee ID. Senior Day - $3 discount for seniors age 55+ at the box office. Trade Day - Trade professionals from the home building and renovation industries or members of affiliated associations receive free admission with a valid ID (business car, association membership card or employee ID). Sponsored by NARI. Kids Day - All children ages 12 and under get in free for Kidzone Day! Go Wild! Anyone with a Minnesota Wild ticket for games on Friday, Feb. 15 or Sunday, Feb. 17 may visit the Show for free. Fans can simply show their Wild ticket at the Show box office for admission. Ticket prices are $7 if purchased online and $9 at the door; $2.50 for children ages six - 12; children five and under are free. Tickets are available online or at the customer service area of participating Cub Foods and Menards. For the most up-to-date information, please visit StPaulHomeandLandscapeShow.com. Metro Transit free ride passes - get to the show by bus or light rail with a free ride pass. Visit the show's website to download your pass. Marketplace Events creates vibrant expositions connecting enthusiasts with experts, products and services in dynamic face-to-face environments. The company produces 42 consumer home shows in the US, 16 in Canada, and eight holiday shows. The 66 combined events, in 32 markets, attract 20,000 exhibitors, 1.8 million attendees and another 3 million unique web visitors annually. From 14 offices, the 150-person staff produces some of the most successful and longest-running shows in North America, including market-leading shows in Minneapolis, Philadelphia, Indianapolis, Vancouver, Calgary and Montreal-some of which have thrived in their markets for more than 75 years.